Welcome to Milton Toyota, your certified Toyota dealership in Milton, Ontario. We are presenting the new 2018 Toyota Camry . You can find all the relevant information below. Enjoy! The 2018 Toyota Camry and Toyota Camry Hybrid have been reimagined and re-engineered from the pavement, up. Built using Toyota New Global Architecture – a state of the art approach to platform and powertrain design that helps deliver superior handling, more dynamic performance, and sharper styling. TNGA informs everything from the sweep of the hood to the placement of key components – all with the goal of enhancing the experience of owning, and driving, the new Camry. New for 2018, the Camry is the first Toyota in Canada to feature advanced in-vehicle connectivity services. Fitted as standard to all models, Entune 3.0 Audio enhances the audio system with Entune App Suite Connect, delivering traffic information, weather, Slacker, Yelp, saved destinations, sports and stock market results, fuel prices and more. Included on XLE and XSE grades, Entune 3.0 Plus adds Entune Safety Connect with automatic collision notification, stolen vehicle locator, emergency assistance button and enhanced roadside assistance, plus Scout GPS Link. The Camry XLE V6 features Entune 3.0 Premium Audio, which replaces Scout GPS Link with Embedded Navigation and adds Entune Destination Assist. Also new for 2018, all grades feature a new look with distinctive upper and lower grilles, plus LED headlights as standard. Inside, the modern cabin features a sweeping interior design with improved quality of materials, exemplary ergonomics, and outstanding attention to detail. 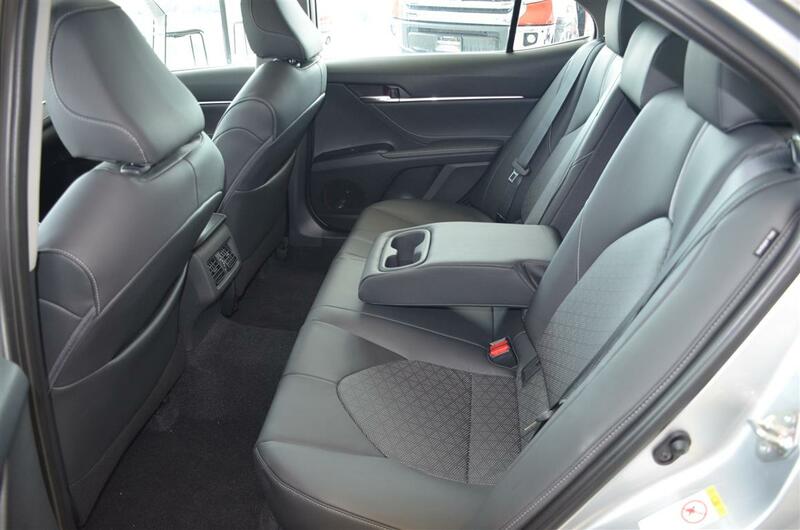 Every Camry grade is enhanced with heated front seats as standard, plus the security of the Toyota Safety Sense P bundle of technologies: Pre-Collision System with pedestrian detection, Lane Departure Alert with steering assist, Automatic high beams, and Dynamic Radar Cruise Control. New powertrains are built around newly engineered 203 (206 on XSE) peak horsepower 2.5L four-cylinder or 301 peak horsepower 3.5L V6 engines. 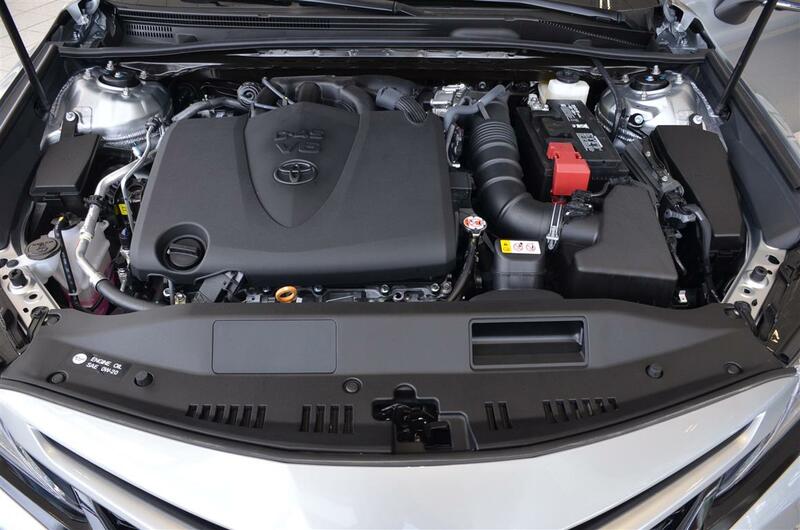 The 2018 Toyota Camry also features a new eight-speed direct shift automatic transmission, while the 2018 Toyota Camry Hybrid is built around Toyota’s popular Hybrid Synergy Drive – the most proven hybrid powertrain on the planet. What’s more, the all-new Toyota Camry will be available in a broad range of models and trim levels, organized into classic “L” series and sportier “S” series models, with conventional and hybrid power trains. All have been carefully crafted to offer Canadians a compelling mix of styling, features and specifications. Meet Toyota's integrated multimedia platform that connects you to all the people, places and things that matter to you the most, wherever you go. Introducing Toyota Entune 3.0. A suite of smart apps and connected services designed to make every trip more enjoyable, and enhance your peace of mind along the way. 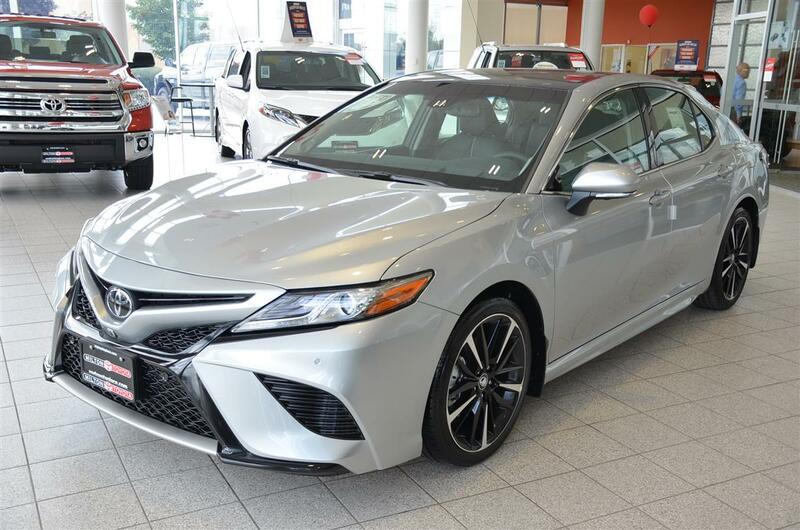 Available with the 2018 Toyota Camry. Better performance? Enhanced fuel efficiency? With the all-new 2018 Camry and Camry Hybrid, it’s all possible. This is Toyota technology at its finest, producing the most exciting, fun-to-drive Camry yet. 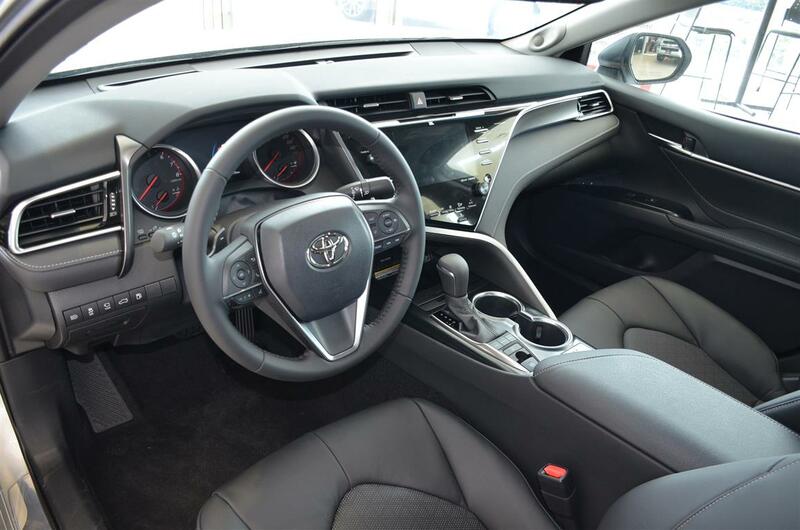 Standard on every 2018 Camry and Camry Hybrid, Toyota Safety Sense provides an array of innovative features designed to assist you with a safer, more relaxing journey. Future models of the Toyota Camry will be available in All Wheel Drive (AWD) on select trims. 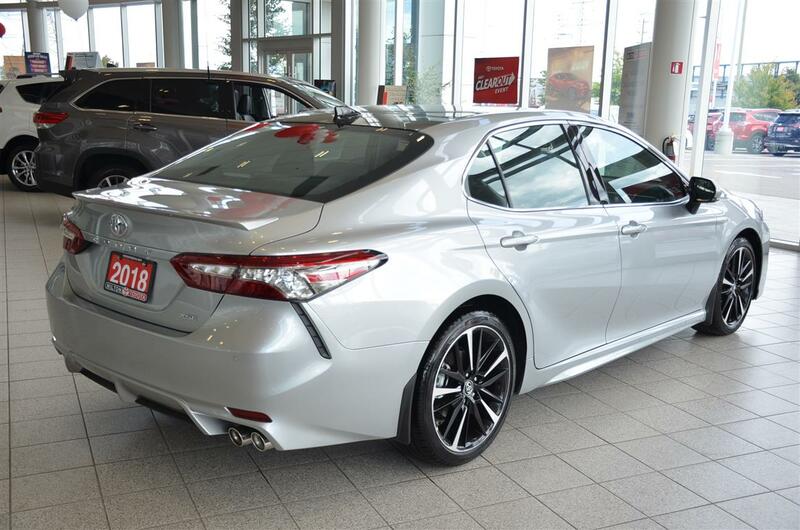 The Camry AWD will have more information available soon. *Efforts have been made to ensure the accuracy of the information presented above, though pricing, equipment, or other details may change at any time without notice. 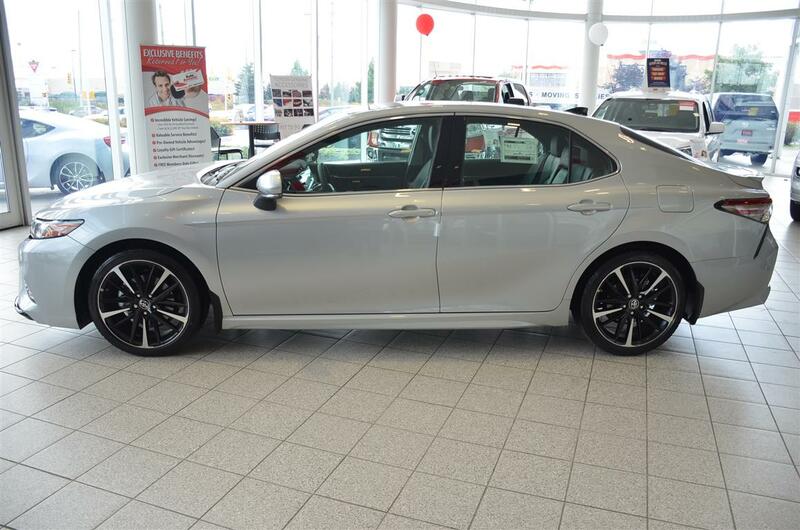 For more information refer to Toyota Canada's website, or consult the vehicle's owner's manual.